Built in 1993, by Tri Star Marine, Incorporated of Seattle, Washington (hull #105) as the Stellar Wind for the Cook Inlet Tug and Barge Company of Anchorage, Alaska. A division of the Anderson Tug and Barge Company of Anchorage, Alaska. 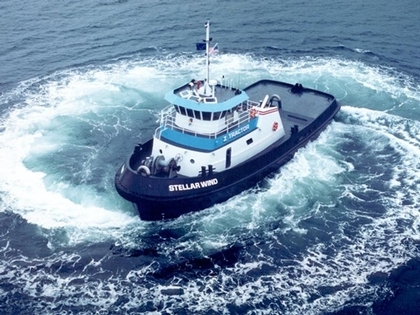 In 2013, the Cook Inlet Tug and Barge Company was acquired by Foss Marine Holdings of Seattle, Washington. Where the tug retained her name. Powered by two, Caterpillar V35.12 diesel engines. She is a tractor tug, rated 3,500 horsepower.